What’s in a WebPT Membership? A WebPT Membership comes with a whole host of perks and features. Come check them out! Read more about What’s in a WebPT Membership? Building a marketing budget is one of your most important — and often, most daunting — responsibilities. The money in your marketing budget is finite, and how you allocate each dollar can make the difference between a thriving marketing program and a failing one. According to Econsultancy, marketing budgets have been steadily rising since 2011. With more money to spend — and more ways to spend it — it’s easy for marketers to get overwhelmed by budgeting. Thoughtful evaluation, ROI tracking, and accurate data are key to taking the guesswork out of allocating your marketing budget. The very first step to properly allocating your marketing budget is establishing revenue goals, alongside the strategy that you will deploy to reach those goals. Regardless of your industry, your purpose as a marketing team is to reach or exceed a revenue goal as efficiently as possible. Every decision that you make should be driven by your goals, and this is especially true when it comes to spending the finite amount of money in your marketing budget. For example, if you’re mapping out a marketing budget for a brick-and-mortar shoe store, your goal is to reach a certain amount of shoe sales by the end of the year. As a brick and mortar luxury shoe store, you likely employ salespeople who play a part in generating sales so you can spend a bit less on pure marketing efforts. On the other hand, an e-commerce shoe store will allocate their marketing budget very differently compared to other businesses. They still need to sell a certain number of shoes to reach their revenue goal, but they may choose to spend a greater amount on programmatic marketing or email marketing, since they don’t have a staff of agents dedicated to driving new sales. In other words, while the specific strategy will vary from business to business, revenue is always top-of-mind when determining your marketing spend. Which expenditures generated good leads for your sales team? Which channels didn’t help to move the needle towards your revenue goals? Is there marketing technology that you can cut? Ask yourself these questions as you explore the line items in your budget. While it’s helpful to evaluate last year’s budget at a high level, it’s important to also closely consider the number of leads or sales that each marketing campaign generates in relation to the cost of the campaign. Let’s say that you run advertisements on a podcast and on a radio program. The podcast generated 1,200 leads and the radio program generated 2,000 leads. At first glance, it seems as though it would be wise to allocate more money for running advertisements on radio. However, when you look more closely at the data, you see that you spent $8,000 on the podcast ad placements and $15,000 on the radio placements. This means that each lead from the podcast cost you $6.60 and each lead from the radio ad cost you $7.50. Knowing the cost efficiency of each channel, you’ll likely choose to allocate more marketing dollars to podcast advertising in your next marketing budget — exactly the sort of thoughtful approach you’ll need to take as you balance your next round of marketing spend. Now that you’ve laid out your marketing goals, evaluated last year’s marketing efforts, and taken current marketing trends into account, you’re ready to implement an airtight marketing budget. During the course of the year, you’ll want to make a concerted effort to monitor the success of your marketing campaigns so that you make any necessary changes. There are a number of tools available to help you measure ROI. Google Analytics and Ads are essential for marketers who want to measure the success of their organic traffic and online campaigns. CRM software such as HubSpot and Salesforce gather information about your leads and customers to help you determine which marketing efforts yield the greatest results for your business. Finally, call tracking software uses online and offline campaign tracking to help determine which are leading to phone calls and conversions, allowing you to focus your strategy on what drives high converting calls. Call tracking features like CallScore help to automate your data analysis by quickly identify which marketing campaigns are leading to sales. In addition closely examining the data in your own marketing department, it’s important to take into account marketing trends that occur industry-wide. Digital marketing spending has been steadily increasing for years and there are no signs of this slowing down. In fact, Forrester Research predicts that marketers will spend at least 42 percent more on each digital marketing channel this year. According to Forrester, search marketing will make up the largest chunk of online marketing budgets. 71 percent of respondents to an eMarketer survey said that they expect to increase their spending on Google Ads, confirming Forrester’s prediction about increased search marketing spending. Display advertising will take the second largest share of online marketing spend as more companies adopt online video and interactive banner ads. Once seen as a content afterthought, video will become increasingly more important in the years ahead. Forrester Research found that including video in emails resulted in 200 percent to 300 percent increase in click-through rates. While search marketing and video continues to make up increasing shares of marketing spending, eMarketer reports that social channel marketing spending is slowing down, with the exception of Facebook. Less than half of respondents to an eMarketing survey plan to increase spending on Instagram, Twitter, or Snapchat. As in years past, content marketing is still a key part of a successful marketing strategy and although it is one of the most effective marketing tactics, it consumes a fair share of marketing budgets as a result. The Content Marketing Institute reported that B2B marketers spend on average 28 percent of their marketing budget on content. Trends and best practices in marketing budget allocation vary from industry to industry, and from year to year. As with many other aspects of the marketing game, part of the budgeting process will likely always involve a bit of uncertainty and informed guesses. However, the key is to rely on as little guesswork and gut intuition as possible, so you can be confident that your marketing dollars are being spent efficiently. Ready to see the benefits advanced call tracking and analytics can bring to your next campaign? Start your free 14-day trial of CallRail now, or request a personalized demo. The post Best practices for allocating marketing budget appeared first on CallRail. One of the fundamental benefits of engaging with partner marketing is that it allows you to extend your reach to varied and unfamiliar channels. Instead of trying to determine how best to approach them using your standard strategy, you allow a partner with the required knowledge and expertise to bridge the gap for you. However, finding ways to expand your influence across multiple channels hasn’t always made life easy when it comes to analytics. Attribution is a stubborn problem: there’s far less value in gathering interest through extensive partner marketing if you can’t ultimately tell where the interest is coming from. It could be that one partner is producing all the results, with all the others majorly underperforming — if so, you need to know. But due to improvements in attribution modeling software and integrations, coupled with a major boost in awareness of the importance of attribution, thorough attribution is steadily becoming standard. This year, more businesses than ever before will implement comprehensive analytics solutions capable of smartly tracking attribution, and all parties involved will benefit. 1. Social media now heavily affect the B2B world. There was a time when social media networking was new that it was seen as nothing more than personal entertainment. That’s changed. Today, B2B relationships are readily established through social media conversations — professionals can fill their feeds with commentary from experts, and call upon those experts to recommend prospective B2B partners. 2. EAT is getting more significant for Google rankings. EAT (standing for Expertise, Authoritativeness, and Trustworthiness) is something that Google actively looks for in the pages it ranks — particularly when they count as YMYL (your money or your life) pages, which is to say those that are important enough to negatively affect lives. And since B2B companies can easily reach that level (providing healthcare materials or safety gear, for instance), it’s vital for a B2B company to be as trustworthy as possible. Why is thought leader influence so valuable in this case? Well, it’s obvious for the former: if you can establish a mutually-beneficial arrangement with a thought leader, they can recommend your company, products, and services — and people will listen to their opinions. And for the latter, EAT is a complex issue that’s influenced by numerous variables. If you can get an expert to review and sign off on your content, it will tell Google that your content can be trusted. And I talk about exchanging thought leadership because it can easily be a straightforward swap if two businesses work in overlapping fields. Each can verify the other’s content without an abundance effort or inconvenience, leaving them both to benefit. Something that more and more companies are coming to understand is that social media has changed public perception of the business world forever. Organizations that once seemed like detached and untouchable monoliths suddenly seem to actually exist in the world. After all, hasn’t it become rare for the CEO of a large company to not have a public Twitter account and various other ways of communicating with the masses? This isn’t just a B2C trend: it’s also massively important for B2B because of company values and supported organizations. Before one company decides to partner with another, it must carefully consider how that move will be perceived. Imagine having the opportunity to partner with a BP-type company following a disaster in the vein of the notorious oil spill — would it be a practical choice? Possibly. But it would also be a PR disaster due to public perception. In this time, public perception is just as shaped by what companies say and do on social media than what they say and do outside of it. Instead of falling back on painstakingly-crafted PR messages, they’re called upon to interact more spontaneously. It can go horribly wrong, of course — but if they get it right, it can pay off in a massive way. And in 2019, as in 2018, you’ll see more prospective clients and partners drop their reluctance to show some personality online, finally conceding that maybe, just maybe, it’s better to take the mild risk of seeming human than it is to take the broader risk of seeming robotic. Because of this, and all the other trends we’ve looked at, it’s going to be a good year for companies and individuals working together for marketing projects. Influencer marketing budgets went up significantly in 2018, and I don’t see that trend slowing down this year. Instagram’s dominance hasn’t waned in the slightest, YouTube personalities are still becoming celebrities, and as mobile buying continues to expand its share of the market, businesses will put huge sums towards thought leader marketing to benefit as much as possible. Now, you might well wonder the significance of this in the B2B world. After all, the demands are completely different — what use is some favorable Instagram coverage when you’re trying to land a large B2B client? Well, there’s more overlap than you might think, and the biggest reason for this is something that we just reviewed in detail: the professional is becoming personal. It’s completely standard for a company to have social media accounts today, which means that a thought leader doesn’t need to be an individual — it can easily be a business. This doesn’t mean that you should pay a company with no interest in your services to recommend them. Instead, consider proposing a mutually-beneficial arrangement: you can offer a better deal if they commit to promoting you through social media and talking about you to their business partners. What does a great marketing partnership look like these days when it comes to output? One company offers its logo to another, or openly commits a particular technology to another’s platform? Far from it — what works the best is when two businesses can join their resources to produce something that neither could achieve in isolation. And regardless of what that production may be initially, the significant part for marketing is invariably rich content. The content may itself be the product, as could be the case for infographics, documentaries, or podcasts — or it may simply publicize and contextualize a product or achievement, showcasing whatever the companies responsible managed to accomplish and explaining what makes it so momentous. Infographics, in particular, are wildly popular, and easy to create. Every business collects data, so when two B2B companies band together for mutual benefit, they can collate their data and use it to create some eye-catching materials. But that’s not the only way to team up: a SaaS design tool company could join up with a B2B strategy company to create a slick infographic on the future of B2B marketing — showcasing the design tool and the strategic expertise. Can you still benefit from traditional articles? Absolutely. But plain text isn’t as impactful as rich content, and it’s harder to share. If you have clear marketing goals, it’s always best to go with the most engaging option available. This year, expect to see a lot of team-up infographics, collaborative podcasts, and cross-business video series. There’s no shortage of marketing methods these days, and a common issue for an ambitious business is figuring out which methods to use and when. They’re looked at as distinct avenues, and kept separate accordingly — but this is ill-advised. Partner marketing, PPC advertising, content marketing: they can all coexist, not only peacefully but also productively. To that end, marketers are increasingly learning the value of bringing their marketing strategies together. Instead of running influencer marketing as a tacked-on addition to their default strategy, a business can make it a core part of the strategy from the beginning, with plenty of overlap between the varying methods. It’s a huge part of becoming more efficient. The less time goes towards admin and configuration, the more time can go towards improving the underlying operation. It should also make partner marketing a lot smoother because there will be consistency in how it’s approached. Lines of communication will be kept open in perpetuity. No more will a partner vanish for months because their marketing budget ran dry and they figured they should simply drop you. The digital world gave rise to modern partner marketing, and in 2019, a combination of rising budgets, improved standards, and the expanding public awareness of influencer marketing will produce remarkable opportunities for companies in the industry. If you’re not excited by that, then you may have misread! The post 6 Partner Marketing Trends to be Excited About in 2019 appeared first on Partner Relationship Management Software (PRM). I remember when it was easy to make user-centered decisions. The year was 2015, and at the time, CallRail only had about a few hundred users to its name. Cue the dream sequence, everyone! Four years prior, our CEO Andy Powell needed a call tracking software for his startup, Bimmershops. At the time, call tracking tech was limited to enterprise businesses with deep pockets. The services on the market were expensive (especially at lower volumes), and the implementation and management were so complex that users usually needed extensive training. Andy and Kevin Mann built the original CallRail app for Andy’s own use case, and began shopping it around to other businesses like his. Early on, our users were in a consistent, beta-style feedback loop. As the team grew to include support agents, we blocked out part of every company meeting to discuss ‘what the customers were saying this week.’ That way, every person in the company received weekly updates about our users’ main goals and problems. When I joined in 2015, we were still creating a product roadmap heavily inspired by requests from users, and we were still getting weekly updates from our customer-facing roles. In short, we had found ways to stay aligned with the needs of our users — the people for whom we were building our product — but it was going to be next-to-impossible to scale this approach. Over the last 4 years, our business has scaled quickly. We were still ‘dogfooding’ (using our product internally), but our own use cases were less and less like our small business or agency users. Pretty soon, we needed to work harder and harder for the alignment we previously took for granted when our whole team fit around a conference table. CallRail had already achieved a lot by forming cross-functional teams and empowering them to build a great product. But this entrepreneurial approach, which had worked so well when we were small, started to show signs of strain around the time we hired our 100th employee. We had created a product development culture that was heavily reliant on leadership and veterans for direction on what to build, and how to build it. Our customer insights were being gathered and disseminated through what amounted to an extended game of ‘telephone,’ meaning they were often out-of-date the moment they arrived on our desk. We were moving fast and making assumptions. There were a couple of features that got deep into production, before a quick check-in with a group of users invalidated our strategy. We would build a feature for release, and then sometimes go back and make changes based on feedback. So when we started to take this rework time into consideration, it looked like the time we gained by cutting our research phase ended up costing us overall. The challenge was proving that measuring twice and cutting once would save us time and money in the long run. We went into a phase of guerilla research tactics that were cheap and cobbled together. We sent out a few surveys and set up a few calls, but mostly jumped on calls that were already happening within sales or support. We used FullStory and our own app to see what users were doing, asking, and where they were getting stuck. Once we started collecting product insights, we needed to figure out a way to manage and distribute it. We also wanted to set up a stronger channel for feedback, not relying on people sending in tickets or calling support to ask for something. We had UX Designers and Content Strategists rally around the cause and join in on the efforts. Everyone wanted to help, but we didn’t know exactly where to start with all the tools and strategies for starting and maintaining a user feedback loop. We hired a hybrid UX Designer/Researcher, Andy Jin, and he helped us get some key processes in place. The original plan was to build a case slowly to move Andy into full time User Research, by carefully choosing projects with well-defined goals to show value of research through metrics like higher conversion, higher revenue, and saved development time. But then, we took a gamble: We decided it made more sense for Andy and Brittney Sovik, our Content Strategist, to team up on a research plan to validate a high-profile product concept. The user insights from this project were so valuable that even the most hesitant stakeholders were persuaded by the volume of input, a lot of which cut against our original gut instincts for how to execute this project. In other words, our User Research team came together surprisingly quickly! Now, we have more buy-in and time built into the design cycle, mostly for validating prototypes and product strategies that are in flight. Likewise, Andy has transitioned into full-time user research, and Brittney has moved into a hybrid role. Both Andy and Brittney support and help coordinate research across teams, but all of the UX Designers, Content Strategists, and Product Managers are involved in the project-research process. All these years later, and we’re still attending customer events and speaking directly with our users about their goals and pain points, and how our product could better meet their needs. Andy and Brittney are developing a centralized repository for documenting and distributing insights from our users, and are working on plans to automate portions of the participant sourcing and signup. We’re all working on using these customer insights not just to test new features, but to constantly refine and improve the user experience for the best (and one of the most-used) call tracking services on the market. CallRail started out as a few nerds who were passionate about accurate, data-driven decision making in their marketing efforts. We built a beautiful product for other analytical marketers like us. Now, we’re investing in new roles and processes to ensure that our data-driven and user-oriented spirit scales along with our team. It requires a lot of work, but I’m thankful to be a part of a company that is committed to meeting the needs of our users. Interested in learning more about the company culture here at CallRail and joining our fast-growing team? We’re always hiring! The post Why we started a User Research team (and what we learned along the way) appeared first on CallRail. The post Things to Consider When Shopping for Practice Information Management Software (PIMS) appeared first on PetDesk. There’s no shortage of PPC marketing experts today who promise to bring in big results for your business. But in the new and constantly shifting world of online advertising, those claims can suddenly evaporate due to abrupt changes in the industry — expertise with the current Google Ads (AdWords) ranking algorithm becomes less valuable when Google changes its formula, after all. For small-to-medium-sized businesses looking to sign up with a PPC marketing agency, there’s a great deal of comfort in knowing that your partner is a seasoned expert in their field with years of experience under their belt. When you’re going all-in on digital marketing, you don’t want a new recruit at your side; you want a battle-hardened veteran. SalesX, a digital marketing agency based in the Bay-area tech hub of San Mateo, California, is one such expert in the field of online advertising. Founded in early 2010, just as the modern digital advertising world was taking shape, SalesX has risen to become an award-winning leader in their field by using the best available technology to plan and implement some truly forward-thinking marketing strategies. And SalesX doesn’t just talk the talk — they also deliver superior results for their clients. In one case, they were able to leverage CallRail’s advanced call tracking tech to cut a client’s cost per lead by a staggering 90 percent. To learn how to maximize your Google Ads ROI like a PPC pro, check out our webinar on the third-party analytics solutions that give marketers a decisive edge over the competition. “Our secret sauce is not exactly a big secret, because anyone who reads our website can find it out,” Joe Khoei says with a chuckle. Khoei is the founder and CEO of SalesX, and the chief evangelist for the company’s digital-first approach to boosting their clients’ marketing efforts. Another area where SalesX has consistently been out in front of their competitors is their adoption of Bing Ads as part of the menu of options they present to clients. While it may not yet be as popular as its competitor Ads, Khoei and his team have seen real value in Bing Ads for businesses who are willing to go against the mainstream and try something different. But most of SalesX’s clients don’t rely on PPC marketing alone — calls are also a crucial element of their strategy. The ability to track calls with pinpoint accuracy while also dynamically swapping in tracking numbers on their clients’ websites quickly proved invaluable for SalesX. And incorporating their CallRail analytics into their internal marketing database hasn’t just helped them improve their clients’ marketing efforts — they’ve also been able to streamline their operation and automate processes that would otherwise be tedious and time-consuming. As the SalesX team continued to hone their use of CallRail over the years, they found plenty of features that have made a big impact for both them and their clients. 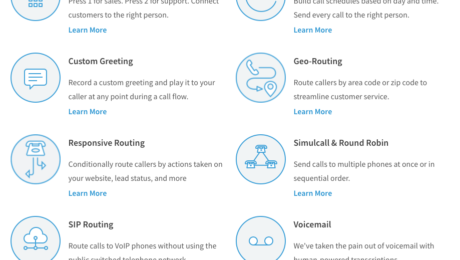 Read more about how CallRail’s routing features provide powerful customization options for managing your inbound calls. CallRail’s ease-of-use has also yielded big dividends for SalesX, particularly when it comes to the simplicity of setting up new tracking numbers, or porting old ones. One client was using a different call tracking service when they joined up with SalesX, and they were hesitant to make the switch to CallRail; their current provider was clunky and cumbersome to use, and they were afraid they’d encounter similar problems making the transition to CallRail. And SalesX has found that experiences like this are actually the rule, rather than the exception: New clients are often quick to make the jump to CallRail after seeing just how easy it is to use. SalesX prides themselves on consistently delivering great results for their clients. But for Khoei, McCoy, and the rest of the SalesX team, they’ll always remember one case in particular that illustrates how the value of their services intersects with the power of call tracking technology. So SalesX conducted a complete, top-to-bottom audit of the company’s marketing efforts and sales funnel, and then deployed their patented combo of PPC sharpshooting with advanced call tracking. What they found surprised both them and the client: The high-debt-load demographic they were originally targeting was far more expensive to market to (and had a conversion rate far lower than) the customers who carried moderate to low levels of debt. Clearly define your goals and intended outcomes. Setting definable and measurable goals is foundational to PPC optimization. Take the time to determine your number-one priority: More traffic? More leads? More conversions? When starting out, focus on the best-performing keywords. Initially, once you’ve determined which of your bids and keywords are performing best, focus your efforts on them. By making even minor changes to your bidding and placement strategy, you’ll quickly get a sense of what works and what doesn’t for your PPC optimization strategy. As you grow, create a ‘negative keyword’ list. Then, establish a list of negative (read: irrelevant) PPC keywords. This will save your business loads of money as you ensure that your ads aren’t served alongside irrelevant search queries. Take advantage of ad extensions. Ad extension features, like call extensions, will allow you to get even more bang for your buck out of your PPC budget. A/B test your PPC ads. The golden rule of digital marketing: Test, test, and test some more. Experiment with different bids and ad copy to see which versions perform best, and then double down. If you’re ready to power up your PPC marketing game with advanced call tracking and analytics, you can start right now: Start your 14-day free trial of CallRail today, or request a guided demo. The post With Bing, Google Ads, and call tracking, ‘PPC sharpshooters’ SalesX deliver superior results appeared first on CallRail. 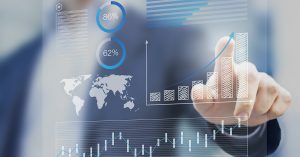 The post Pragmatic PRM Data Analysis: An Allbound + Sisense Partnership appeared first on Partner Relationship Management Software (PRM). For many years — long before I was working at a tech company, or before I knew about marketing attribution or what ‘MarTech’ meant — my career was in the non-profit field. I worked in a lot of different capacities from the time I was about 18 until I was 32, in roles that took me from the suburbs to the inner city. I lived in Spain and the United Kingdom. Kenya, Chile, and Mexico were cool places I got to visit, all in the service of the greater good. Many times throughout my tenure I felt a deep sense of satisfaction about my contributions. Other times, I was emotionally removed from the lives I was supposed to be impacting. These highs and lows are all part of the job, and they vary based on the kind of work you’re doing. When it comes to non-profit work, there are ultimately two great ‘death and taxes’-esque truisms: Non-profit isn’t about the money. Also, non-profit is all about the money. The name of it be damned, if you’re in this field of work (I still can’t bring myself to call it an ‘industry’), then you’re probably thinking about cash every single day. You got into this work because you wanted to help people, and that’s really cool of you. But if you’re anything like I was, you worked through your days with the Grim Reaper of cash flow trailing just behind you at all times. I’ll set aside a whole day two weeks from now to focus on it! I’ll write a big long email and make it look nice! [Day blocked for fundraising time arrives] Okay! I’m ready to do this. I’ve got my coffee and my email campaign editor up. And I’ve got ideas for stories to share with our donors! Someone on your staff pings you about a pressing issue related to the work you’re actually there to do. You dutifully put out the fire. Back to work! Ah, it’s time for a lunch appointment to meet with a potential intern for the next year. Repeat steps 3 and 4 until it’s almost the end of the day and then leave without completing more than about 20 percent of what you set out for. Leave the office, sad and dejected. Now, this situation can apply to pretty much anyone who has any degree of autonomy to their daily schedule. But the worst part of the experience is this: No one got any value out of it. You raised no money, and your donors didn’t hear how their contributions are making a difference. No new person had the opportunity to hear what your organization does and how it matters, or how they can partner alongside you. Despite the grand plan you set out at the beginning of the day, you just didn’t get anything in return, and no value was delivered to anyone. It’s a shame, because it doesn’t have to be that way. It was already too late by the time I learned a valuable lesson that changed my life, which has shaped my career ever since: It is better to deliver a very small thing that has value than to deliver nothing at all. We often fall into the trap of thinking that what we need to do right now is the big thing. If it’s not a massive effort, or if the output of your tasks are not what you’d deem prolific, then it’s considered a failure. I began to lean into the mindset of playing small ball. I started out with a pledge: Every day, I would set a timer for 15 minutes and I would write as many personal postcards to as many members of our donor base as I could. I learned I could knock out about seven in 15 minutes, once I got the rhythm down. But really, a brief email that directly asked for a short conversation was all I needed. People who I never thought would respond did, and soon appointments were booking up. It wasn’t long before we were bringing in new donations again. These were small moves, but they paid off over time. The key difference is that each handwritten postcard or personal email was a thin, vertical slice of value I could produce every day. Several years ago, I made a shift out of non-profit work and transitioned to my day job in tech. When I made that move, I’d never heard of an emerging field called Product Management. But as I grew in several roles at a couple of companies, I realized that product work was where I wanted to focus my energy in the coming years — here was a discipline that I wanted to master. Why Product? Well, product management is about uniting technology, design, and business around a common empathy for people’s needs. In my work as a product manager, my number one goal is to deliver the most value to our customers in the most efficient way. This means that we must ruthlessly protect our customers from ourselves — from our grand ideas, visions, and project plans. We have to simplify our work so that (when we’re doing it right), we’re delivering small, perhaps imperfect pieces of a product that is genuinely making their lives and work better. The term we use for this in the tech industry is ‘vertical slicing.’ A vertical slice is a proof-of-concept that, from top to bottom, is complete enough that we can hand it over to a customer and see their eyes light up just little bit. Then we go back and do it again tomorrow, and the next day, and the next. Approaching work this way when I was in nonprofit — and now in tech — has made all the difference, and it’s absolutely why I love what I do. The post From non-profits to tech: How my career taught me to love ‘vertical slicing’ appeared first on CallRail. Hello headlines my old friend: We’re back for another round of your favorite recurring series on the CallRail blog, News You Can Use. In this ongoing series, we review the most recent headlines in technology and marketing, and explain what it all could mean for your business. As the old saying goes, staying on top of the news isn’t just good civics — it’s good for business. Let’s get to the news. Facebook, and its subsidiary services like Instagram and WhatsApp, suffered intermittent downtime and outages for nearly 48 hours this week. Millions of accounts worldwide were inaccessible during this period, and unhappy users flooded social media with the #facebookdown and #instagramdown hashtags. “[On Tuesday March 12], a server configuration issue made it difficult for people to access our apps and services. We are 100 percent back up and running and apologize for any inconvenience,” Facebook said in a statement. This week’s outage is reportedly the longest-ever downtime for the Facebook platform and its family of apps. If you’re a digital marketer who was affected by this outage, get in touch with Facebook’s support team to request a refund. Spotify has launched an antitrust lawsuit against Apple in court for alleged violations of European antitrust law. The music-streaming service announced on Wednesday it has filed a suit accusing Apple of using its proprietary App Store to crowd out competitors, including Spotify. As one of Apple’s biggest competitors in the music space, Spotify has long been frustrated by the legendary walled garden of Apple’s App Store. Services listed on the App Store must abide by all of Apple’s rules and regulations — including around pricing and competition — or risk being shut off from tens of millions of Apple devices and users. In their suit, Spotify calls for EU antitrust regulators to break up Apple and separate the App Store from its main services. This mirrors a similar call by US presidential candidate Elizabeth Warren, who recently proposed breaking up the biggest tech companies in order to check their quasi-monopolistic powers. It remains to be seen whether the case will be escalated into a formal EU investigation of Apple. Nevertheless, it’s clear that in the UK — just like in the US — the push to regulate Big Tech is gaining momentum. Starting on April 11 of this year, Verizon will become the world’s first major telecom to offer 5G cellular service to consumers. The company’s pilot 5G program will launch in Chicago and Minneapolis, and will be offered for free to Verizon customers for three months. After that, customers must pay an extra $10 a month to upgrade from 4G to 5G. 2019 is expected to be a big year for 5G wireless rollouts in the United States, and Verizon is looking to seize the opening advantage by being the first out of the gate with their 5G network. However, there are some caveats: The 5G service will only work with the company’s Moto Z3 mobile device, and will require a hardware add-on that attaches to the phone. This announcement is something of a starting pistol for the 5G arms race, so mobile marketers should pay close attention to other networks and telecoms as they roll out their own 5G plans over the coming year. The study points to China’s plans for massive government investment in both educational facilities and private industry as the key driver behind China’s growing AI dominance. In the absence of a similar and sustained push for national investment in technology and science, the US is expected to continue to lag behind. As we’ve observed in this space before, AI is going to be key driver of future advances in marketing and technology. Digital marketers would do well to closely observe China’s moves in the coming years to zero in on future strategies. Competitive video game advertising in the US is expected to surpass $200 million in revenue by 2020, according to a new report by the video game analytics agency NewZoo. The report predicts that eSports ad revenue will grow 25 percent to $178 million this year, and will top the $214 million mark in 2020. Global revenue around eSports is similarly expected to hit $1.1 billion this year, which amounts to a positively meteoric rate of 27 percent year-over-year growth. If it seems like every brand under the sun is scrambling to advertise to the gaming audience, it’s because they most definitely are. Fans of eSports (and video games generally), tend to be young, affluent, and tech-savvy — in other words, the kind of demographic that makes digital marketers see visions of sky-high ROI dancing in their heads. Maybe your brand or business should do the same? Do you have thoughts about how current events have changed your marketing or business strategy, or guidance for others to share? Head to the CallRail Community to connect with other professionals and share your perspective. The post News You Can Use: Facebook outage, 5G on the way, China to seize AI crown appeared first on CallRail. While everyone loves March Madness, the last thing anyone needs is for their search for partners to be actual madness. Just like winning the $1 Billion dollars that’s up for grabs, attaining a perfect partner bracket can seem impossible. However, picking your partner bracket doesn’t have to be a challenge when you have the right strategy and a hint of luck. These four key factors can guide you on better ways to build your perfect partner bracket. 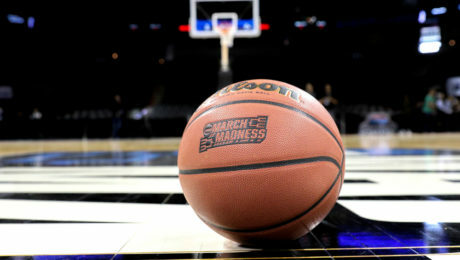 Just like winning the $1 Billion dollars that’s up for grabs, attaining a perfect partner bracket can seem impossible. You have to admit that no matter if you’re an amateur or an expert, there’s always someone who knows more about the subject, or at the very least, has a different perspective than you. A difference of opinion is not a bad thing, especially in a partnership. Having a trusted resource to challenge your methods and push you towards innovating your thinking can significantly boost drive and overall success. Listen to analysts about which partnership will guide you to the sweet sixteen, elite eight, final four, and then become a champion. Your partners should be trustworthy and dependable, but they don’t always need to be your number one seed as long as they are able to perform. Like it or not, it’s important to choose partners who have some major differences from you. Just because there are different plays, doesn’t mean we’re playing a different game. If your partner is an identical match, there would be little value added to their customers with your product, making it a tough sell and a lousy partnership on both ends. Don’t get stuck in the “same old” strategies with the people you’ve known your whole life. Sometimes you have to let go of home-grown favorites and choose the best teams to represent you and your overall bracket success. What can shatter your goals faster than a bracket buster in the first round? Picking a partner that is a horrible fit for your business model. While a partner’s track record may be outstanding, there’s no way to tell if they will choke when they are invited to do the dance. Do in-depth research about their product, sales process, strategy, and values to see if they could be a good fit. Things don’t usually go as planned—the past five March Madness tournament can make that perfectly clear. With history showing us that consistent upsets are a distinct possibility, it’s important to listen to your gut for when it tells you that something is truly wrong. Sometimes a situation can lead to strong analytics and an outstanding track record, but if something inside says that you should get out, it’s probably for good reason. So many strong teams make it to March Madness just to choke when it’s their time to shine. Don’t let your partner’s track record outweigh your gut feeling. It’s better to have missed out on a potential partnership rather than blow it all on a risky relationship that gets you into some locker room drama. It takes work and diligence to put together your perfect partner bracket, but if you’re strategic and lucky enough, you just might be able to climb that ladder to cut down the net. Put these tips to work and let us know if they help you build your perfect partner bracket. Are you going to win it all this year? The post How to Pick The Perfect Partner Bracket appeared first on Partner Relationship Management Software (PRM).